The Han Solo reshoots/director change have claimed their first victim: Michael K. Williams. When Ron Howard got hired to finish out the film, there were some reshoot issues that needed to be done in regards to my character, in order for it to match the new direction which the producers wanted Ron to carry the film in. And that would have required me on a plane a month ago to London, to Pinewood, to do reshoots. But I’m here, on location in Africa. It’s scheduling. I’m not going to be back on the market until the end of November after Hap and Leonard, and for them to wait that long for me, that would have pushed back the release date, which I believe is in May 2018. They wanted me now; I couldn’t go. So they had to clip-clip-clip. 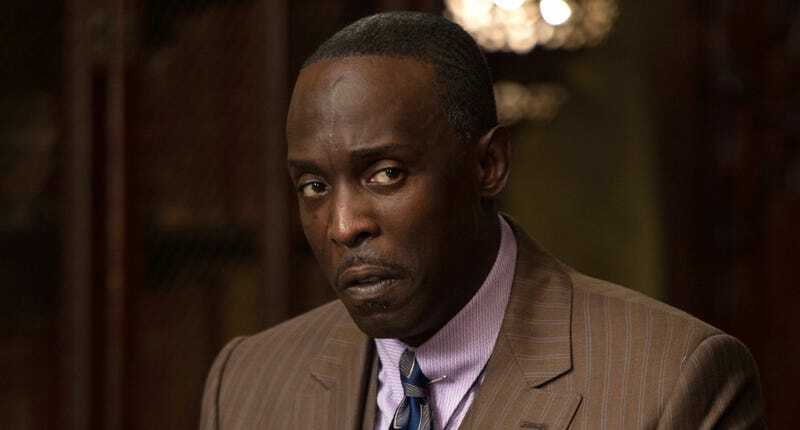 The actor, best known for his work on The Wire and Boardwalk Empire, does a pretty solid job of laying everything out, but here’s the rest of the context. Back in June, seemingly out of nowhere, directors Phil Lord and Chris Miller were let-go from directing the film. The reasons why are still a little murky, but the consensus seems to be that the movie they were filming was a little too goofy for the Star Wars brand. So they were removed and Lucasfilm hired Ron Howard to finish the film. He’s been on set, shooting and tweeting, since the tail end of June, mere days after the first news broke. The reason Howard took over the production so quickly is probably because Disney really wants the film in theaters for May, which means there’s little time to spare. So with things moving a mile a minute, it’s probably easier for them to just cut Williams’ character (who must not have been incredibly essential if he’s being cut) rather than totally change the schedule to accommodate him. Williams was apparently a “half-human, half-animal” character in the film and it’s a performance that he’s very proud of. He hopes that this unfortunate timing doesn’t mean he can’t come back to the Star Wars universe at all. We’ve contacted Disney for possible comment and will update this story if that happens. Should We Be Worried About Ron Howard Directing the Han Solo Movie?